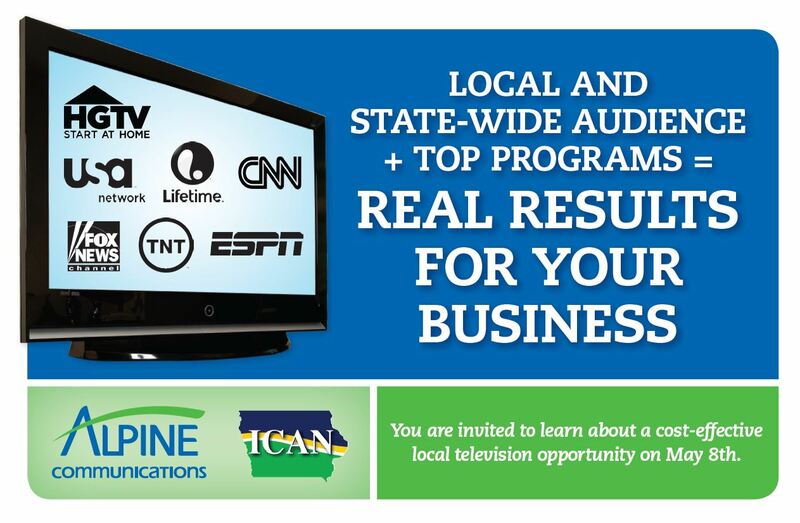 Thursday, May 8 at 7:30 a.m.
Thursday, May 8 at 12:00 p.m.
Each 45-minute session will be held at the Alpine Communications Business Office at 923 Humphrey Street, Elkader. Space is limited so RSVP’s are necessary. 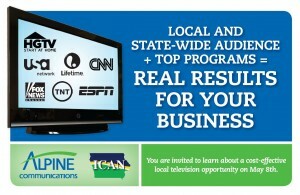 Please call Alpine at (563) 245-4000 or send an e-mail to alpine@alpinecom.net to reserve a seat.